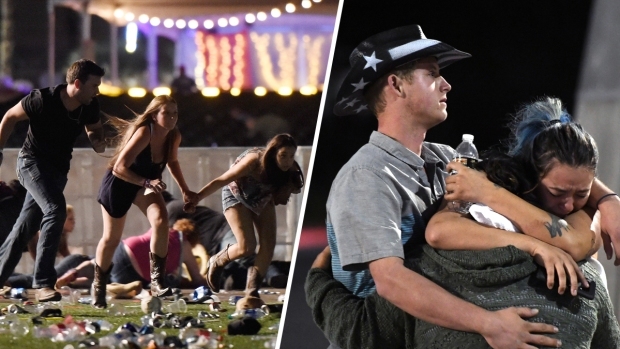 After a gunman opened fire on a country music festival on the Las Vegas Strip late Sunday, killing at least 59 people and wounding 527 others, performers at the event described the "chaotic" and "heartbreaking" scene. 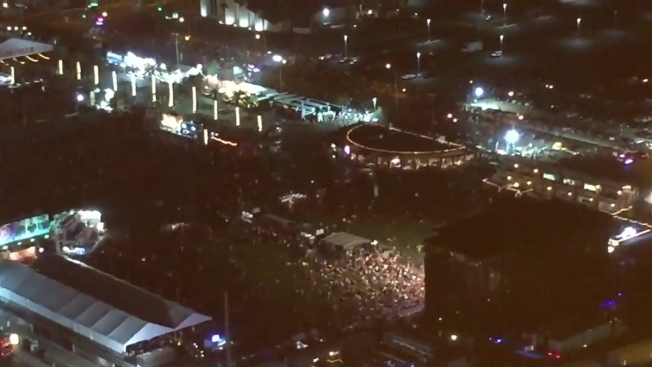 Bullets rained down as Jason Aldean sang onstage at the Route 91 Harvest Festival, forcing performers and concertgoers to flee the area. Aldean later posted on Instagram that he and his team were safe after the shooting he called "beyond horrific." Witness Brett Herpich describes the moments gunfire erupted on the Las Vegas Strip late Sunday, Oct. 1, 2017. Singer Jake Owen was also onstage during the shooting, and he told NBC News it felt "like a movie." "You could hear it ringing off the rafters of the stage," he said. "Everyone onstage started running anywhere possible. It was pretty chaotic for sure." "I ran just like everyone else," Owen added. "There was blood on people. ... It was literally like a movie you feel like you’ve seen before that's not real life... It was pretty chaotic for a pure seven to 10 minutes." Musician Chris Young was at the festival and said on Twitter that he stayed "on the floor of a trailer behind the stage," calling the shooting "heartbreaking." Caleb Keeter, guitarist for the Josh Abbott Band, said on Twitter that witnessing the shooting had changed his pro-Second Amendment stance. Other artists reacted to the shooting as well. I'm sickened. Praying for all. In London and just heard what happened to our friends in Las Vegas. 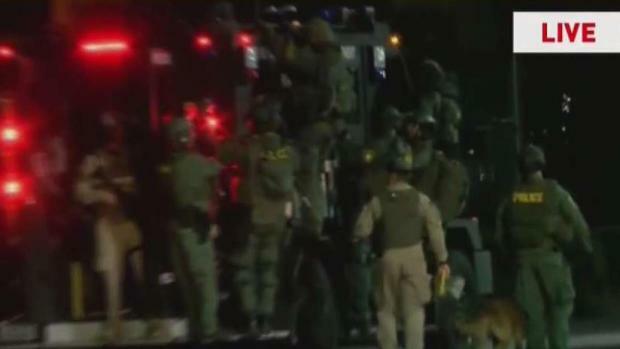 Authorities said the suspect, 64-year-old Stephen Paddock, of nearby Mesquite, is dead. The investigation is ongoing.